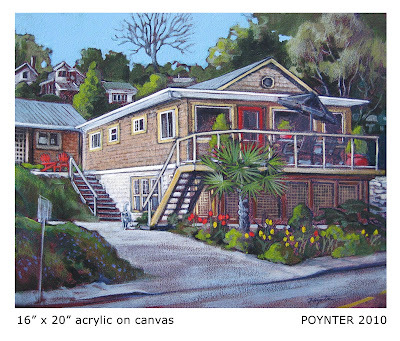 An original painting of a home, garden or view makes a wonderful closing gift to buyers or sellers, with lasting sentimental value. I have created a costing framework and discount package for Real Estate and Business. This is a 20% value off the current commission pricing. Included is the original painting, a package of printed cards with the image, and a high resolution file of the image on CD. The client also recieves a credit for 20% off the price of future painting sales by the artist -including custom commissions.